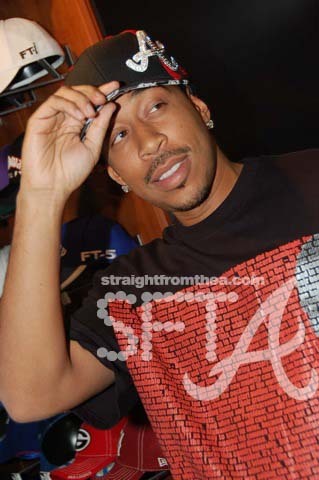 Christopher “Ludacris” Bridges can now add “cap designer” to his ever growing list of achievements. The spactacular rapper/entrepreneur recently designed a cap himself celebrating his love for the “A” town. The cap features a large Atlanta Braves “A” style crest on the side-front left that is half clear crystals on the right and half black crystals on the left. New Era hosted a party in his honor and to celebrate the 1 year anniversary of the Atlanta Flagship store.